Installation of the Priorclave SH450 front loading autoclave in a research laboratory at York University’s Biology Department has reduced significantly energy costs associated with running a sterilisation process, and achieved a massive 90% reduction in water usage. Priorclave also recommended fitting a water softener since the University is in a hard-water area, resulting in a very big reduction of salt requirements - a 92% cut compared to the previous operation. The SH450 autoclave has an extra-large 450 litre rectangular chamber and is a must for any laboratory undertaking high-volume sterilising procedures. It is also ideal for those labs frequently tasked with handling tall and bulky items. And despite its large chamber and high loading capacity the autoclave requires only a relatively small floor area. In order to strengthen its ‘green credentials’, reduce cost and improve sterilising performance York University looked to replacing an existing a 350 litre power-door autoclave in its plant research lab. Following talks with established British autoclave design and manufacturing company Priorclave, it opted for the Priorclave 450 litre laboratory autoclave. 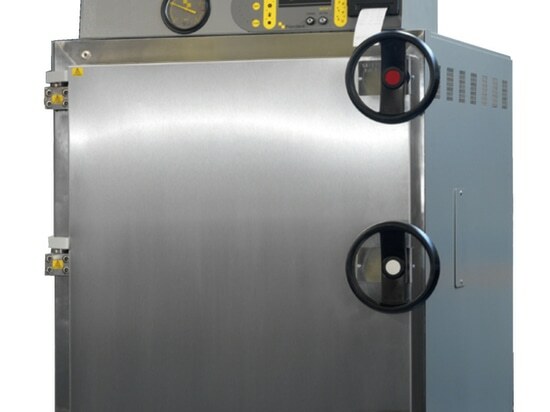 The original power-door autoclave, although only a 350 litre machine had a much larger footprint than the new Priorclave autoclave and it required a separately housed 45kW generator that ran constantly 24/7 to provide the required level of steam for sterilisation. Since the new Priorclave autoclave has an inbuilt generator which heats water only on demand, costs are cut significantly. 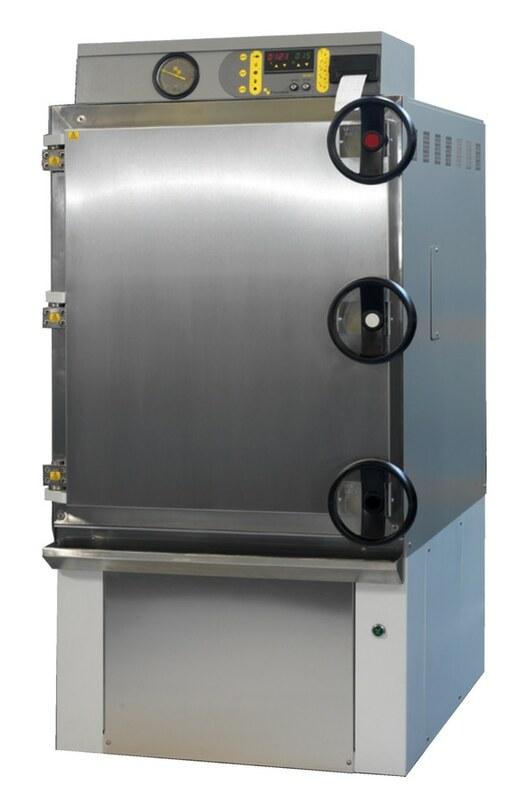 Sterilisation takes place two to three times a day, five days a week and by heating water-on-demand it offers potential to achieve energy-cost savings of nearly £6,000 pa.
Side by side analysis of running costs between the new ‘self-contained’ Priorclave autoclave and the original power-door model fed with steam via the external generator showed an overall saving of 56%. The major contribution to this massive saving is associated with cost of water supply and disposal, amounting to a reduction of 88% and 89% respectively. When York University’s Biology Department made the change to the Priorclave autoclave the laboratory acquired a machine with a larger capacity (450 litres) but a smaller footprint. This created more free-space within the actual laboratory as well as totally freeing up a room, which previously housed the generator. Looking at and investing in new technologically advanced systems is not sufficient, organisations need to examine how equipment is actually used. Utility costs rarely stay constant; normally they follow an upward trend which makes it even more important to examine the day-today running costs. Companies need to look inwardly as to whether there are ways to use less energy - electricity, gas, and water - whether from a dutiful sense of environmental preservation or simply to save money, or both. By reviewing its actual sterilisation requirements this major research establishment, York University, achieved a significant reduction in direct energy costs and a massive overall savings of 56%.